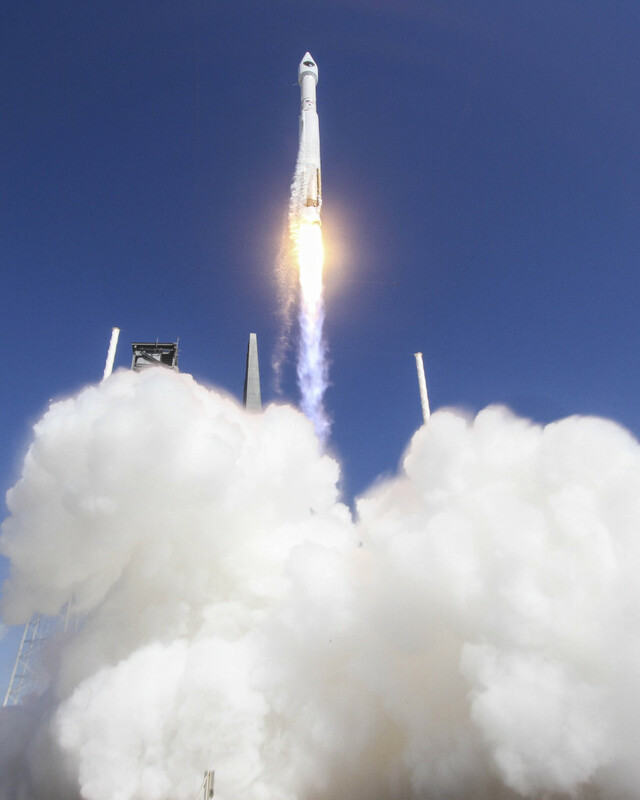 October 31, 2015 – A United Launch Alliance (ULA) Atlas V rocket carrying the Global Positioning System (GPS) IIF-11 satellite for the U.S. Air Force lifted off from Space Launch Complex-41 October 31 at 10:13 a.m. MDT. GPS IIF-11 is one of the next-generation GPS satellites that incorporate numerous improvements to provide greater accuracy, increased signals and enhanced performance for users. This mission was ULA’s 11th launch in 2015 and the 102nd successful launch since the company was formed in December 2006. This mission was launched aboard an Atlas V Evolved Expendable Launch Vehicle (EELV) 401 configuration vehicle, which includes a 4-meter-diameter payload fairing. The Atlas booster for this mission was powered by the RD AMROSS RD-180 engine and the Centaur upper stage was powered by the Aerojet Rocketdyne RL10C-1 engine. GPS IIF-11 will join the GPS worldwide timing and navigation system utilizing 24 satellites in six different planes, with a minimum of four satellites per plane positioned in orbit approximately 11,000 nautical miles above the Earth’s surface. The GPS IIF series provides improved accuracy and enhanced performance for GPS users. ULA’s next launch is the Atlas V OA-4 capsule for Orbital ATK scheduled for Dec. 3 from Space Launch Complex-41 from Cape Canaveral Air Force Station, Florida.